One of my very favorite things about New England is LOBSTER. In fact, my husband and I rarely eat shellfish–lobster, in particular, is made solely on New Year’s Eve each year. Whenever we go to New England, however, we both do our best to eat as much lobster as possible. During our most recent visit, it was a few days into the trip until we were able to fulfill our lobster fix with a lobster steam (not boil) dinner at his aunt’s house (to be blogged about one of these days.) It was not until we got to Maine that we were able to dive headfirst into our lobster eating bonanza. 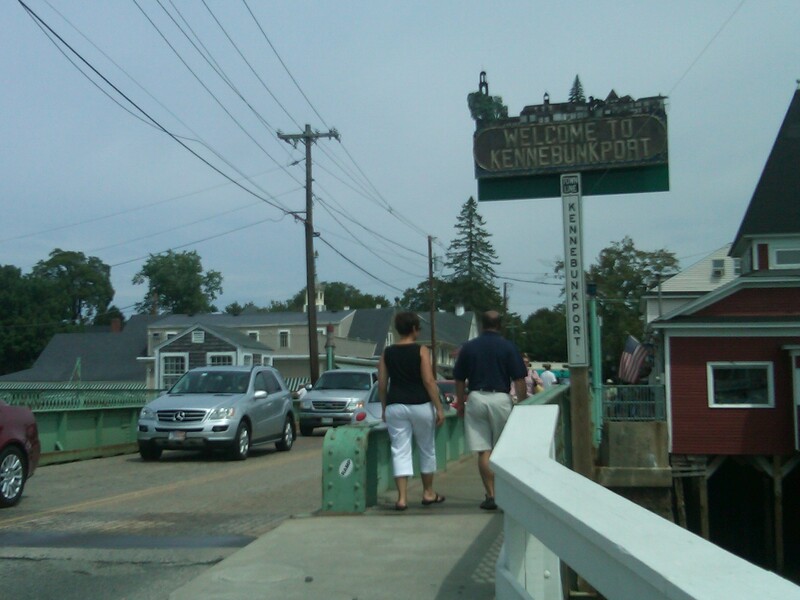 We started in Kennebunkport at the The Clam Shack, a complete tourist trap at the entrance to the small town of Kennebunkport (made popular by our dear friends, the Bushes.) It sits right before the bridge that welcomes you to town. And you’ll almost always encounter a line–expect a decent wait during lunch hours. We waited in line for a few minutes behind a surprisingly large number of foreign tourists. While most of the conversations surrounding us centered on what folks were going to order, we knew what we were getting without any conversation. 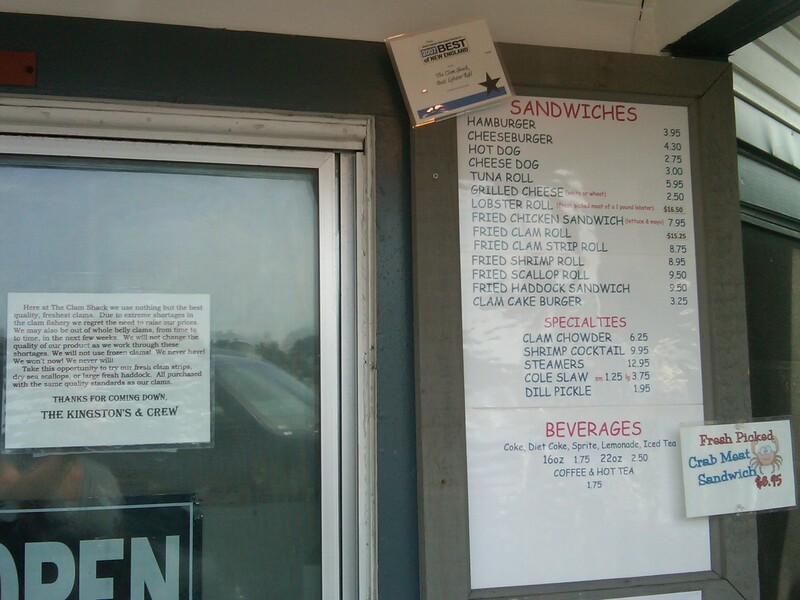 When we got to the window, I quickly ordered two lobster rolls and clam strips. I felt like any regular at Tony Luke’s ordering a cheesesteak whiz wit. Unfortunately, I got knocked off my high horse when he asked me if I wanted butter or mayo on my lobster rolls. Butter or mayo? I dunno. Just make them taste good. I settled on butter because, well, it’s butter. A poor shot of the menu. 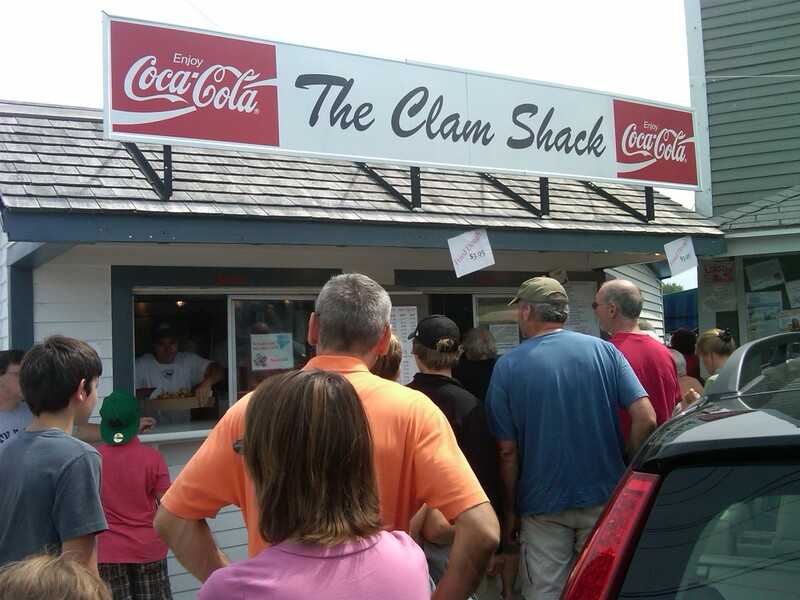 They have sandwiches too, and even some chicken–although who orders chicken from the Clam Shack? We took our seats on a picnic bench overlooking the water. 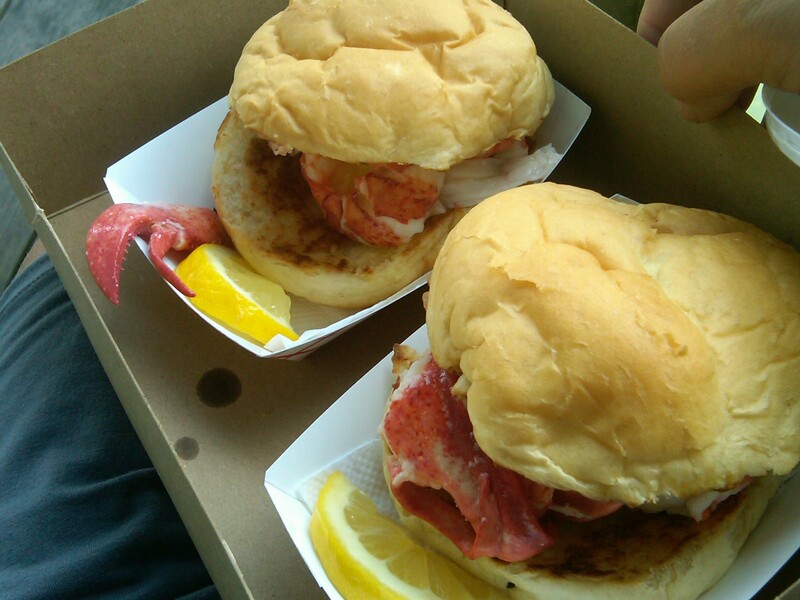 We eagerly tore into our lobster rolls first, but not without admiring the chunks of claw and tail meat loaded onto the hamburger-style bun. 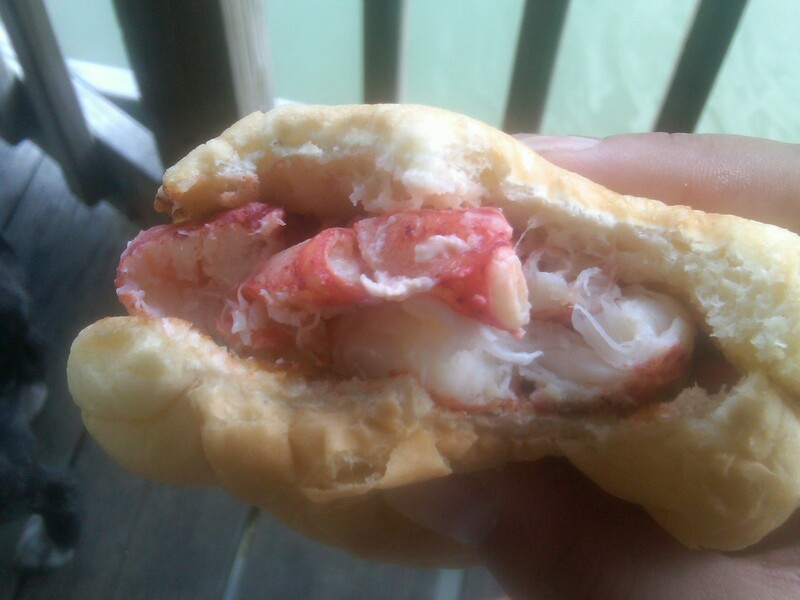 Unlike the traditional split-top hot dog roll that carries most lobster rolls, the ones at the clam shack were a little more sandwich-like. How cute is that claw hanging over the side?! I couldn’t resist and grabbed a quick bite before taking a close up shot. 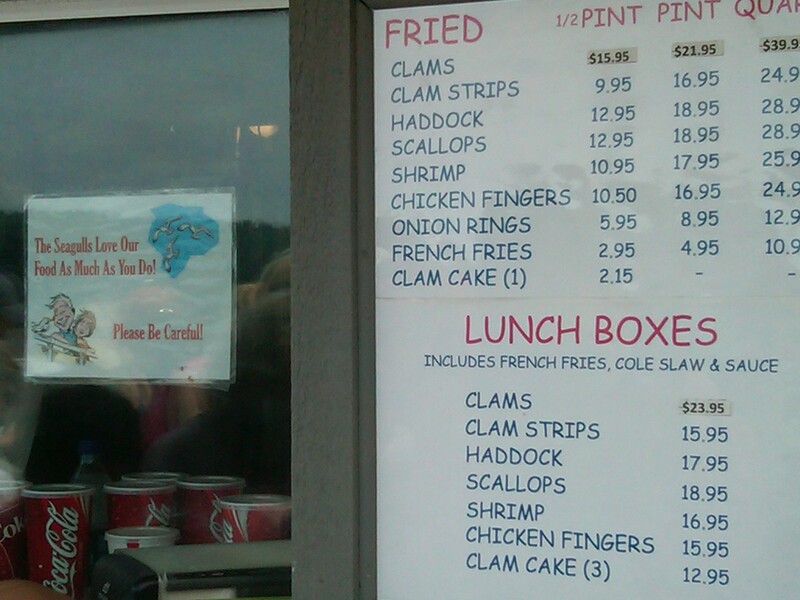 The clam strips are my personal favorite. Nice meaty chunks of clam breaded and fried. Honestly, I think my true affinity is for the tartar sauce. 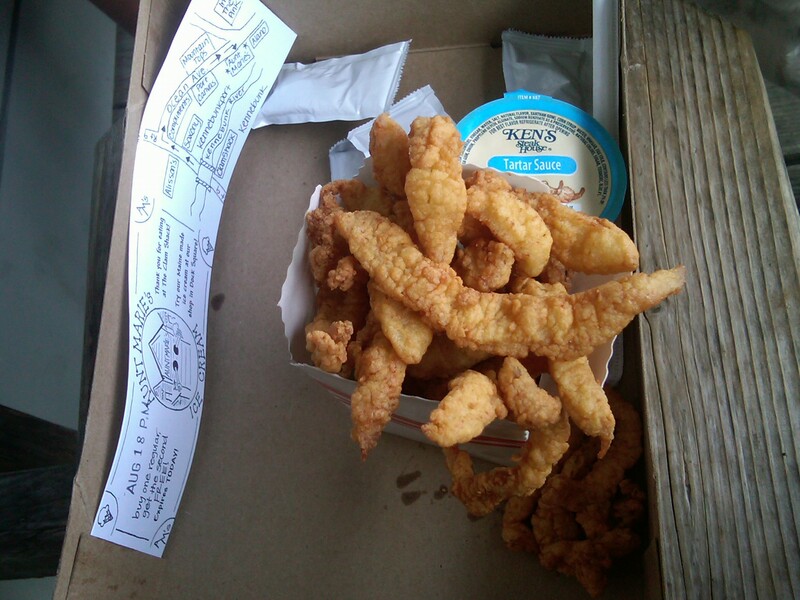 The clam strips aren’t half bad though. I learned something interesting during this meal. My epicurean dog, Jewels, does not care for lobster. I gave her a small piece that she tried and spit out. Because it had been in her mouth and on the ground, I tossed it into the water. As soon as the lobster bit broke the surface of the water, a striper that had to be at least 3 feet long attacked the tasty morsel and just as quickly retreated. Our neighbors (some people who had the bright idea to share our small bench with us…) were impressed and the four of us spent the next few minutes throwing in (a little more) food–not lobster–and watching 3 large fish lurking below. When we went kayaking in the same waters the next day, I was petrified that I was going to run into one of those big guys. Not my finest moment. The next day we went looking for a dog-friendly lunch spot in the area. 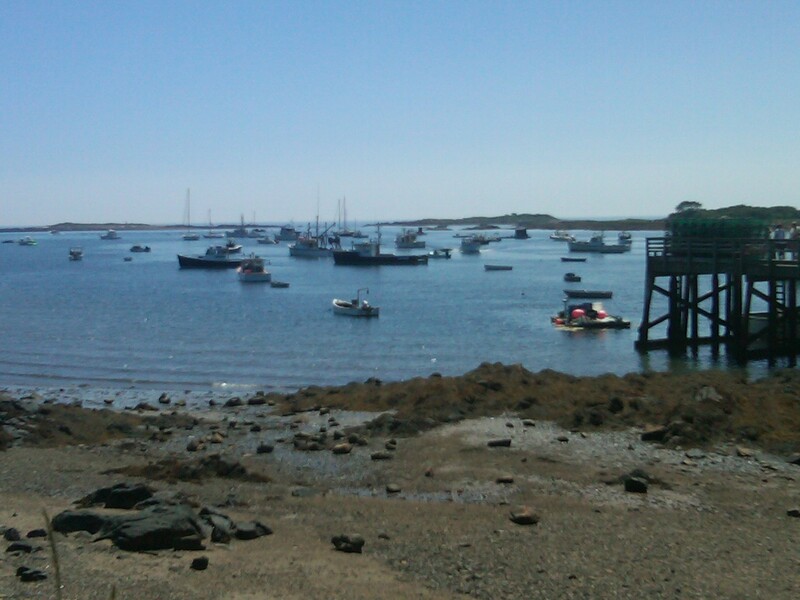 A shop owner suggested a few places in Cape Porpoise, a short drive from the area. 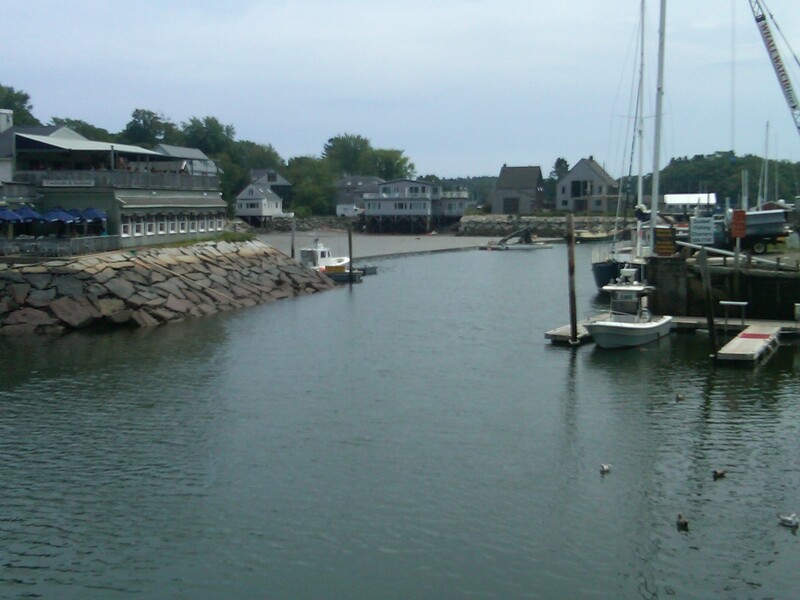 My husband had biked to Cape Porpoise the previous day and agreed that it would be a great place to have lunch and sightsee. We drove past the Bush Compound which is a surprisingly magnetic attraction, regardless of one’s political inclinations, about ten minutes to another working harbor, Cape Porpoise. 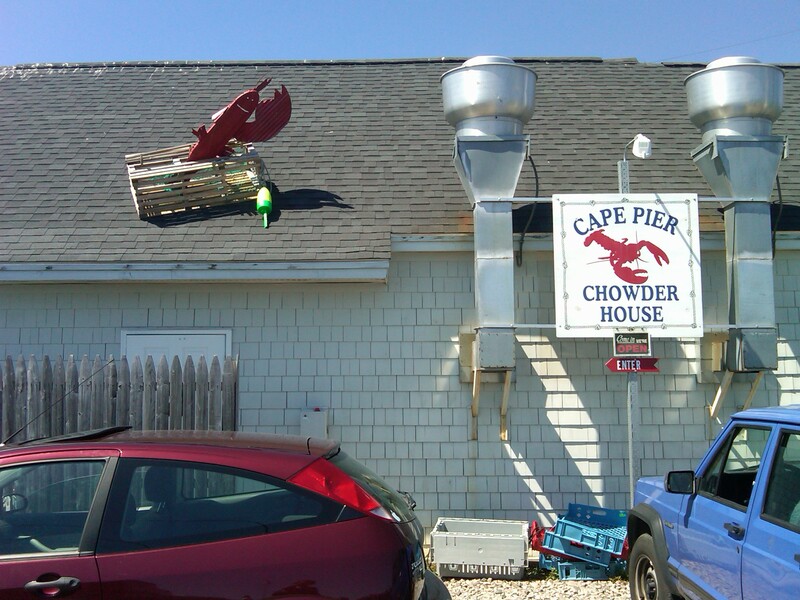 The Cape Pier Chowder House is an unremarkable building at the end of a scattered parking lot. There is some signage on your way in, but it is actually facing the water so you do not see the House until you are on top of it. A line is never a bad thing. It speaks to the popularity of the place which usually, but not always, correlates with the quality. DiNic’s Roast Pork in the Reading Terminal is a good example, while Pat’s and Geno’s are not. The place had an interesting set up. It was completely open on one side and all of the seats were outside. The only things that took place inside were the ordering, condiment collection and preparation of food. It was neat to watch the woman (all women, by the way!) weighing and preparing the lobsters to order. ou can’t get much fresher than that!I didn’t get to snap a picture because I was, quite honestly, a bit intimated by these hard working women. YBecause it was a little more off the beaten path than the Clam Shack, lobster rolls were a few dollars cheaper (having an affinity for lobster can certainly add up!) Instead of saving money, we decided to take the opportunity to order even more. A few minutes after putting in our order, this was brought to our table. That’s right, folks! We had two lobster rolls, clam strips, a cup of clam chowder AND a humongous ear of buttered corn. It was delicious and fresh and everything you could possibly want a lunch to be. The tartar sauce was good too. 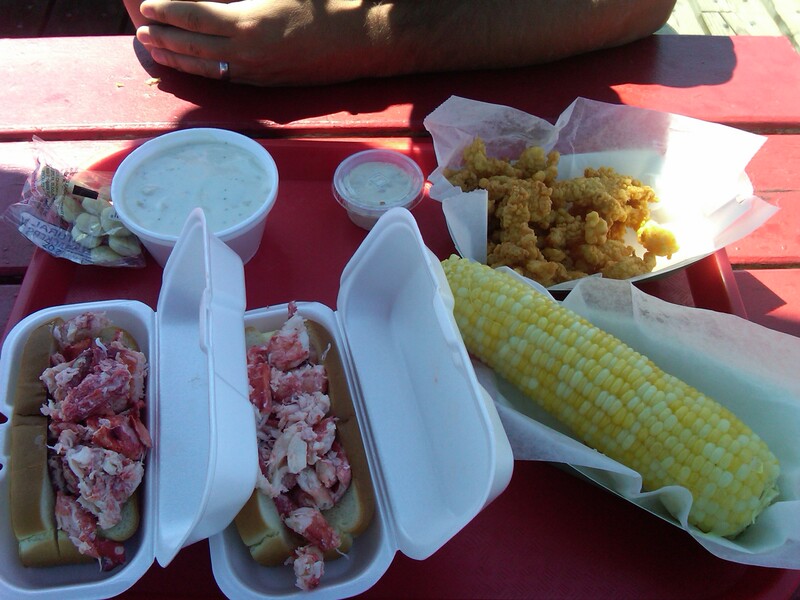 While I give the edge to the clam strips at the Clam Shack, the Chowder House takes the cake for the lobster roll with the traditional split top bun and option for corn. Although we didn’t indulge, they also have a liquor license and an icy cold beer could have been mighty tasty with this meal. Afterwards we took the dog to frolic in the water a bit and enjoyed the scenery. You back to the real world yet? All this lobster is making me hungry, and I don’t even like lobster! Mmmmmmouth-watering, indeed …and very well and engagingly written! Errata: the place, I believe, is called “DiNic’s ROAST BEEF and Pork”. Have you ever been there? By the way that DiNic’s name is protected bu a United States trademark, so don’t go thinkin’ you can open one up in Kennepunkport! 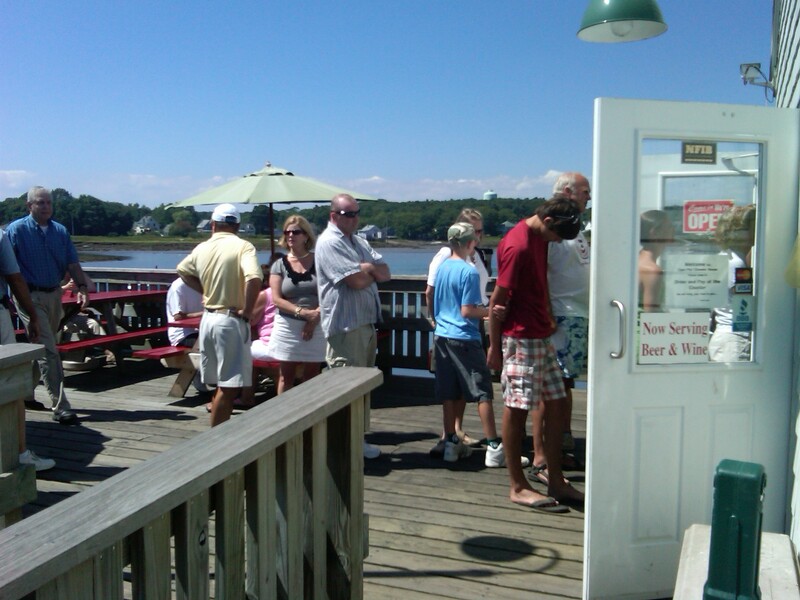 Have you hit Red’s Eats, in Wiscasset? Fantastic roll. Also, I had a lobster BLT(!) at the Damiriscotta Bar & Grill, once. It was a little too mayonaissy(yah, it’s not a word, I know,) But…lobster and bacon. Together.